With the conclusion of one of the most politically challenging and longest legislative sessions in recent memory, we would like to take a few moments to share with you several of the highlights of the session. These highlights include an operating budget that invests in all our students from early education to higher education; restores damaging cuts to public assistance programs made during the lean years of the Great Recession; ratifies the negotiated public contracts for state employees, educators, and home care workers; and invests in critical mental health services. This year we passed a transportation investment package that will fund the completion of major transportation projects, including SR 167 and SR 509 in our district. The $3.9 billion capital budget makes investments in building more K-3 classrooms in high-poverty areas and makes investments in energy, the environment, and improving the quality of life in communities across our state. 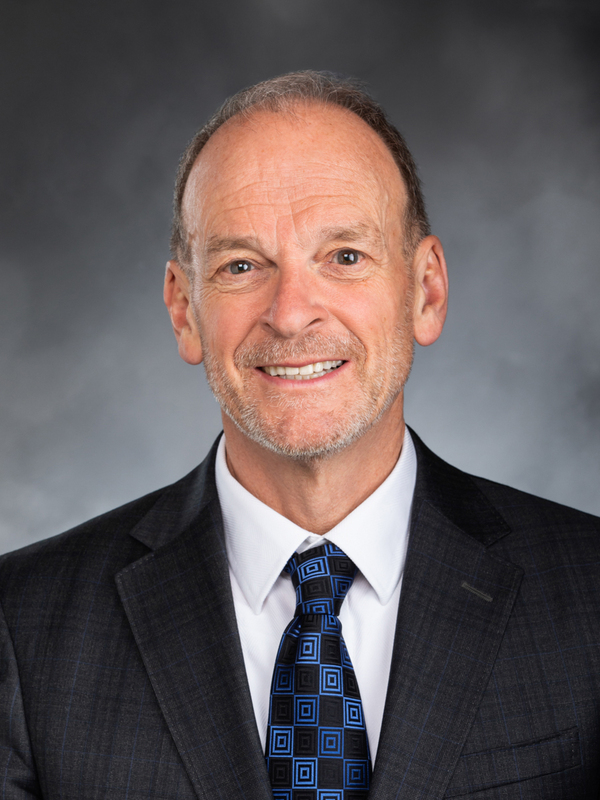 We look forward to meeting and speaking with you throughout this interim and returning to Olympia next year to continue to fight for you, our district, and the long-term success of our state. It is a great honor and privilege to continue to represent all of you in the 27th Legislative District. This year we fought for and passed a budget that upheld Washington values, because fairness, equality and opportunity aren’t just values for Democrats — they’re values for all of us. Our final budget moves us closer to funding basic education costs, begins to repair our broken mental health care system, cuts tuition for all Washington public college and university students and restores vital services that the most vulnerable kids and families depend on. With our substantial plan to fully fund basic education, we invested $350.2 million to reduce K-3 class sizes, almost $180 million to provide all-day kindergarten for every kid in this state, and more than $520 million to provide quality teachers with quality salaries, giving cost-of-living adjustments and increased support of health care benefits to our teachers. We also invested more than $24 million in increasing participation in the Early Childhood Education and Assistance Program and more than $22 million in providing childcare for working mothers. Building a better future for our kids costs money, and after months of deadlock and D.C.-style politics, the Senate Republicans recognized the need for new revenue to pay for our education system and helped us raise about $450 million over the next four years by closing a few outdated tax breaks that no longer benefit the people or companies they were intended for. But there’s still much more work to be done. Washington still has the most unfair tax system in the nation — a system in which the poorest families can pay up to seven times more of their hard-earned money in state and local taxes than the wealthiest five percent. And because for years we haven’t had the revenue to fully fund our schools, school districts have relied on local levies to pay for teacher salaries and operating costs. The Supreme Court said this was unconstitutional, and ordered us to fix it. If you’ve seen the news lately, the Court has placed sanctions on the Legislature for not addressing this issue. In the House, we passed a bill in June that would have put in place a planning process addressing funding and levy reliance. That bill would probably have helped us avoid sanctions, but it didn’t get a hearing in the Senate. The House has already expressed the desire to work with the Senate Majority Republicans to find a solution and the governor attempted to call representatives from both parties to the table. But since then, the Senate Republicans have told us they are not interested in working with us to solve the funding issues our school districts face. That’s not how government works. More importantly, that won’t stop us. We’re continuing to work with the governor and legislators from both parties interested in making sure our kids get the education they deserve and are guaranteed by our state constitution. We will get there! From the very beginning of the session we knew that we needed to prioritize investments for our K-12 students. We also knew that in order for our kids to be successful, our youngest learners needed to be prepared for school. The legislature made significant investments in early learning and passed landmark legislation, known as the Early Start Act (House Bill 1491). This legislation includes key policies that will help prepare our youngest learners for school, offer increased resources for child care providers, and help more low-income working families. We recognize that all Washington kids should have access to high quality early learning opportunities. We were also committed to making higher education more affordable for every student. This session we worked to freeze or lower tuition while ensuring financial aid is available, and promoting innovative programs like the College Bound Scholarship Program. College Bound has helped tens of thousands of students from low-income families get on track for succeeding in school with the promise of financial aid in college. We were also able to reduce tuition at all our state colleges and universities by 5 percent in the next two years and up to 20 percent at some locations in the following two years. Our state’s community and technical college students will also see a 5 percent reduction in tuition from current levels. Improving our state’s mental health care system was one of the issues that received much-needed attention during the 2015 Legislative Session. For some time we’ve seen the harm that underfunding mental health care in Washington has caused individuals and their families. Rulings from the U.S. District Court and the Washington State Supreme Court echoed our concerns. Encouraging and establishing the use of therapeutic courts in order to reduce recidivism or other outcomes and to increase rehabilitation through the use of continuous and intense judicially supervised treatment and appropriate use of services. Allowing courts to order mentally ill individuals to undertake outpatient treatment before their illness results in the need for involuntary commitment or engagement in the criminal justice system. In the 27th Legislative District and in Pierce County, we often face more unique challenges regarding mental health services, as we have Western State Hospital and the Special Commitment Center located in our county. Through investments made in the operating and capital budgets, more local beds for mental health care will be added. Continuing to improve our state’s mental health services and treatment options is a critical component to improving public safety and public health in our state. This year the legislature passed a comprehensive transportation investment package that will modernize our infrastructure, grow our economy, and help combat traffic congestion. The $16.1 billion package funds important projects and programs across our state, creating 100,000 jobs over the next sixteen years. This is a big win for Pierce County and the 27th District; many of the most substantial investments are coming straight to our region. This package will cut down on gridlock by investing in transportation choices like rail, transit, bicycle and pedestrian infrastructure. Local governments will have expanded options to improve public transit. Most importantly, Sound Transit now has the full authority to go to the voters with a funding package that will expand predictable, reliable light rail transit from Seattle all the way to Tacoma. Our economy depends on businesses being able to efficiently transport goods and products to markets, both local and international. By modernizing our transportation system we are building an economy that works for everyone, not just the wealthy few. In addition to the operating budget and transportation package, the legislature also passed a new capital budget this year. The capital budget is a $3.9 billion investment in public facilities and infrastructure, which will create up to 44,000 jobs building schools, universities, mental health facilities and parks. This budget will benefit Washingtonians across the state. Education makes up the biggest piece of that budget, with $1.6 billion or new classrooms that will reduce K-3 class sizes and help to close the achievement gap. We also invested $100 million for better mental health care services, which will not only save lives, but money as well through preventative care and treatment. Other funds are directed towards affordable housing, protecting our wildlife and wetlands, and local community improvement projects. Many of the schools, hospitals and colleges that we rely on every day are here because our grandparents chose many years ago to invest in future generations. Today we are making a similar investment in buildings and infrastructure that our children and grandchildren will use for years to come. As we have done in the past during the Legislative interim, we invite you to attend our conversation hours located throughout the district. These conversations allow us to meet with you and talk about how we can make our community, our district and our state a better place to live. See you there!